Phoebe has a keen interest in organisational development, digital strategy and the psychology of the modern working environment. She brings extensive experience across public and private sectors in organisational design, psychometric assessment and team and leadership development; and is currently completing her master of organisational psychology. Phoebe prides herself on using research and analysis to facilitate the delivery of quality client outcomes for individuals, teams and organisations. Prior to joining Nous, Phoebe held positions in the Capability and Change teams at Metro Trains Melbourne, as culture curator at Inventium and as a consultant as SACS Consulting. She is in the final stages of her Master of Organisational Psychology at Deakin University, completing her thesis on Intimate Partner Violence, Employment & Resilience. She also holds a Bachelor of Applied Science (Psychology, Honours). 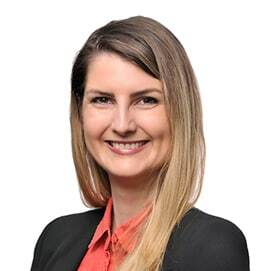 Phoebe is currently communications lead for the Victorian College of Organisational Psychologists’ and is registered as a provisional psychologist with the Australian Health Practitioner Regulation Authority and the Australian Psychological Society. Having completed her first thesis on the detection of faking in personality assessments, she is accredited in psychometric assessments including Saville WAVE, Hogan’s suite of tools, the Strong Interest Inventory and the Talent Q.
Phoebe enjoys ceramics, cooking and getting into a good book. On weekends away she enjoys spending time on her parent’s farm in Queensland tending to the property.